What's the largest non-spherical astronomical object in the universe? Some asteroids and comets are non-spherical. But is the nature of big things and gravity so that large things in the universe are always spherical? What is the biggest astronomical object in terms of volume out there that's not spherical? Note: Astronomical object is a defined term. 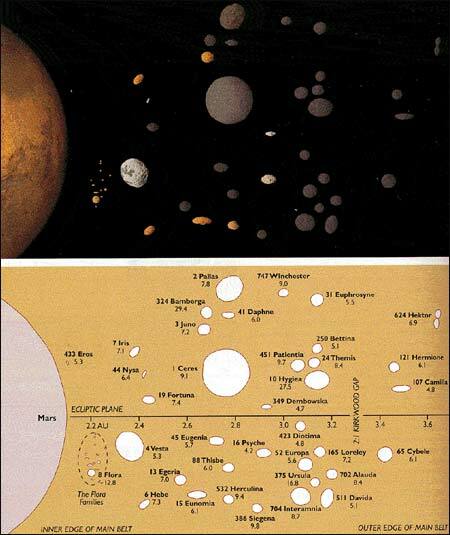 See Astronomical object - Wikipedia. The largest sub-galactic astronomical object (in volume) that we know of is the Carina Nebula, which is a non-spherical diffuse nebula. The Carina Nebula has a radius of about 100 parsecs. IC 1101 is on the left in the image below. I'll leave it to you to decide if an elliptical galaxy counts as "spherical" or not. If you don't count elliptical galaxies, the largest spiral galaxy is NGC 262, pictured below. 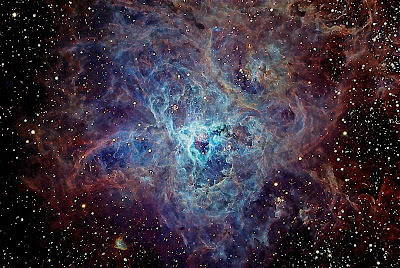 It has a diameter of 1.3 million light years. In the same vein as @arne's answer, this just in from Slashdot: Astronomers Discover Largest Structure In the Universe, linked article and the original - 10 billion light years across, based on data from gamma-ray bursts. 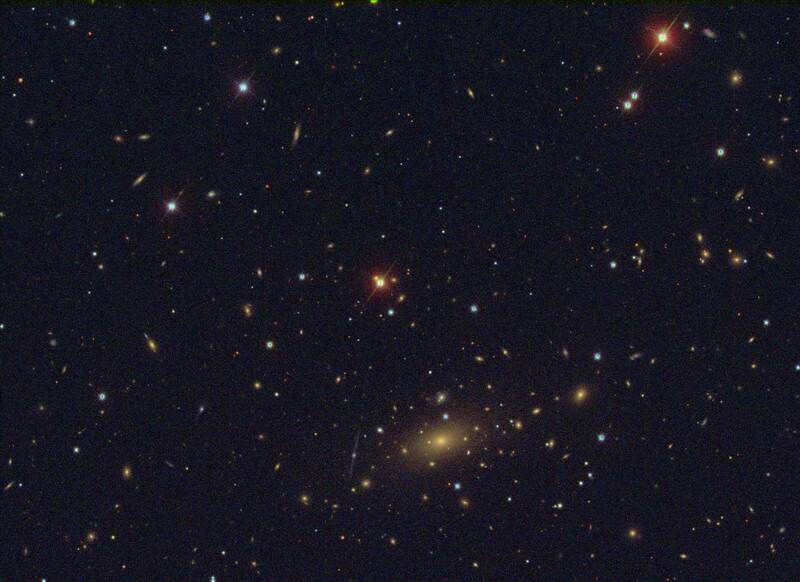 So this thing, presumably another wall of even more distant galaxies, is the new largest structure in the universe. 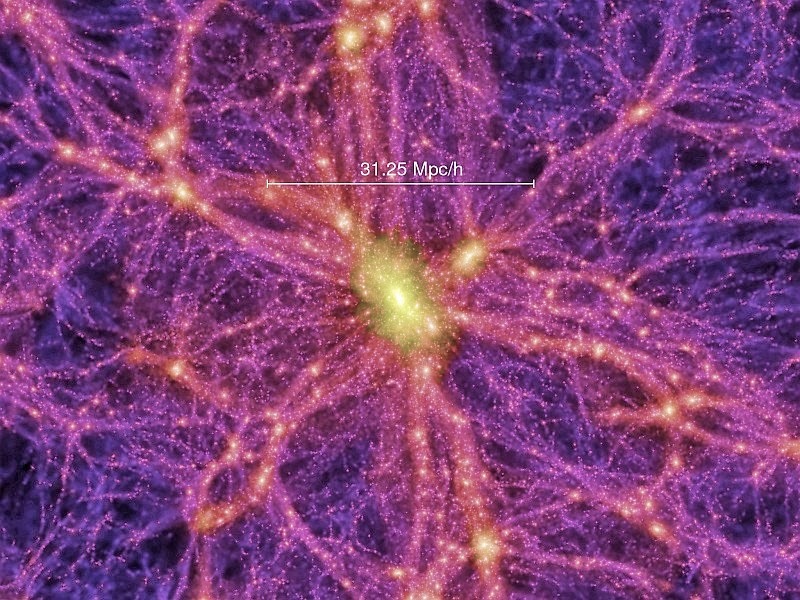 One of the fundamental tenets of cosmology is the Cosmological principle—this holds that the distribution of matter in the universe will appear uniform if viewed from a large enough scale. At whatever scale they look, large scale structures always seem to emerge. The largest non-spherical objects which are virialized (meaning essentially dynamically relaxed; not in the process of forming or collapsing) are super clusters of galaxies (here is a list of nearby super clusters). They're the most massive objects before you must begin to consider large scale structures like filaments. These objects are largely non-spherical. Most of them happen to be tri-axial ellipsoids (either footballs, frisbees, or somewhere in between) due to the nature of large scale structure formation occurring along two axes at different times. If you count conglomerates of galaxy style objects, the largest structure in the universe so far is the Huge Large Quasar Group. 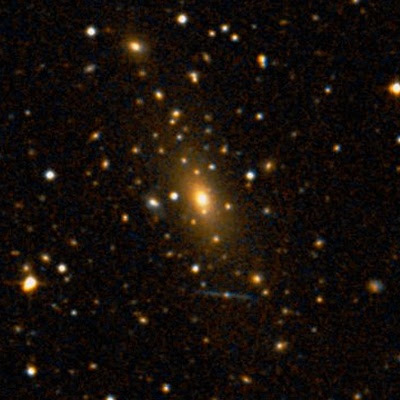 It seems to be four billion ly in size, and contains dozens of Quasars, which in turn are very active galactic nuclei. I don't know why they claimed this one as largest, at 522,000 light-years across only is less than half as that of NGC 262. Next, structures. aneroid has the right answer. It's name is Hercules-Corona Borealis Great Wall, some 10 billion light-years across. All these answers are, of course, correct. I only want to make a simple observation. According to the definition linked in the OP, an astronomical object is gravitationally bound. So we are looking for the largest gravitationally bound object. However, it appears the universe is expanding forever and hence not bound. The largest bound objects are galaxy clusters and galaxy super clusters. These objects have just formed or are still forming: the dynamical (orbital) time scale at their outskirts is comparable to the age of the universe. 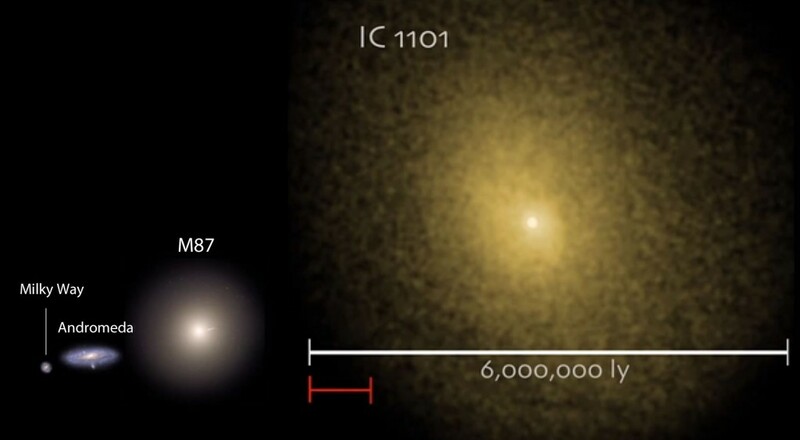 Warning: citations above about IC 1101 being the largest known galaxy are probably wrong! Wikipedia's claimed 5 Mly size is certainly incorrect. The visible light extent is about 360 kly (NED's summary page gives a major diameter of 1.2' and a redshift of z=0.077947, for a physical size of around 115 kpc, or 370 kly). The largest measurement one could reasonably suggest for IC 1101 (around 500 kpc, or 1.5 Mly) comes from the maximal measured extent of the diffuse light from Uson, Bough & Kuhn (1991). That's not what one usually thinks of when talking about the "size" of a galaxy. 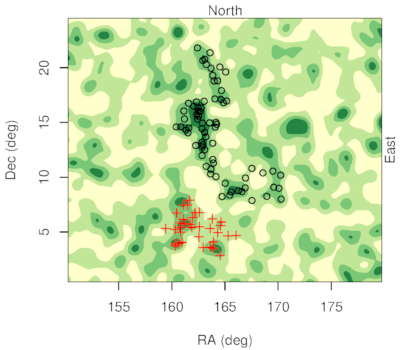 Usually we refer to the radius in which most of the visible light is enclosed, not the maximum distance we could possibly measure light that might be associated with the galaxy. 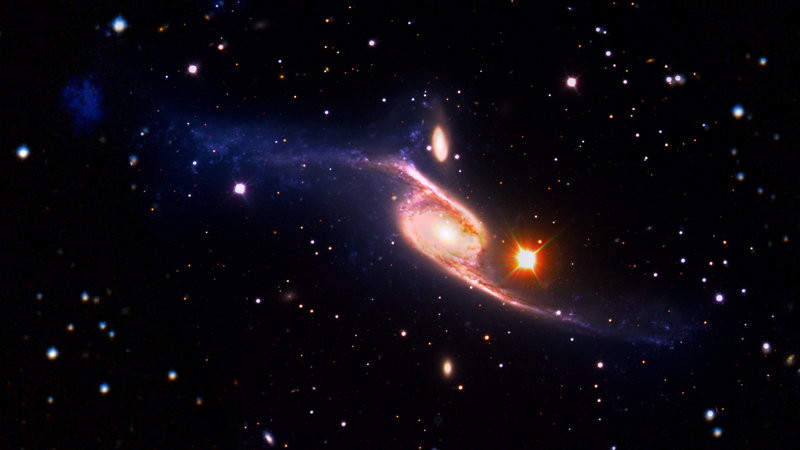 Similarly, NGC 262 is not 1.3 Mly across. 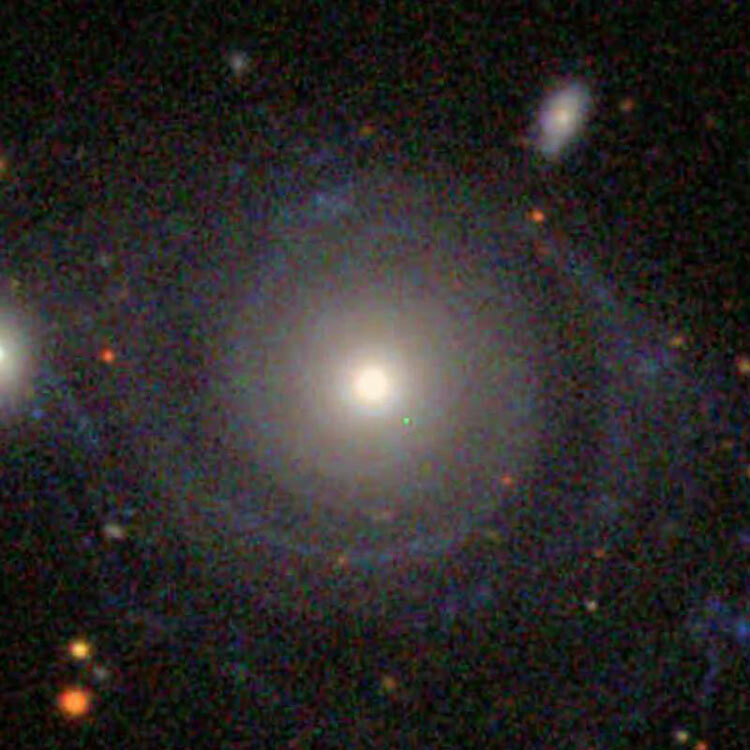 It has an extended cold Hydrogen gas halo of around 600 kly (~10' HI measurement from Morris & Wannier 1979, distance ~65 Mpc), but the physical extent of its stars is around 66 kly: large for a spiral, but not huge. To answer the question: I'd go with galaxy superclusters as being the largest currently gravitationally-bound objects in the universe. Well, this is my relatively inaccurate size comparison of galaxies. 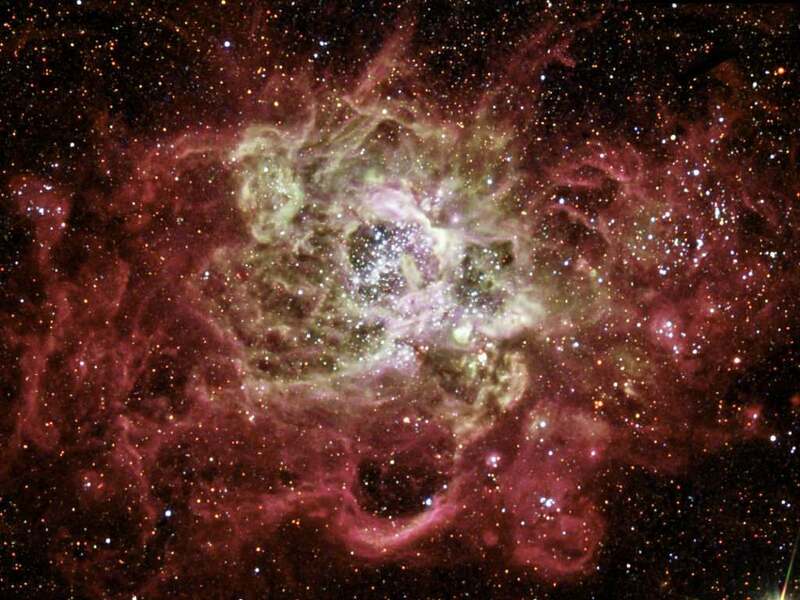 IC 1101 is 6 million LY at this scale, NGC 263 is 2.3 million LY, and there are some other galaxies. What is the most dense object in the universe? If the universe is 'flat', what shape is it? What is a probability of a particle launched from earth hitting any object in the universe?